Our GO! 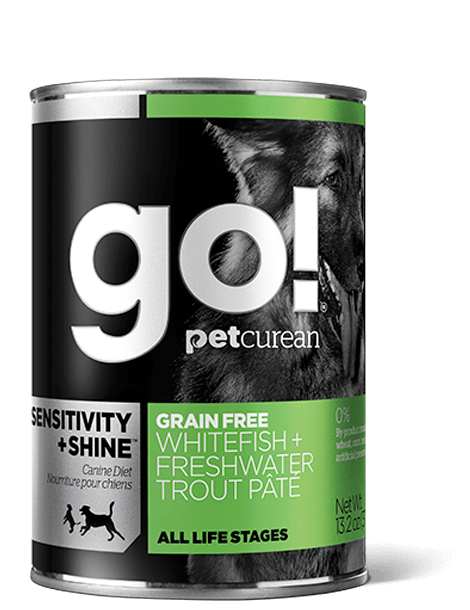 SENSITIVITY + SHINE Grain Free Whitefish + Freshwater Trout Pâté Recipe is carefully prepared with premium-quality fish, omega oils and fruits & veggies. Our GO! 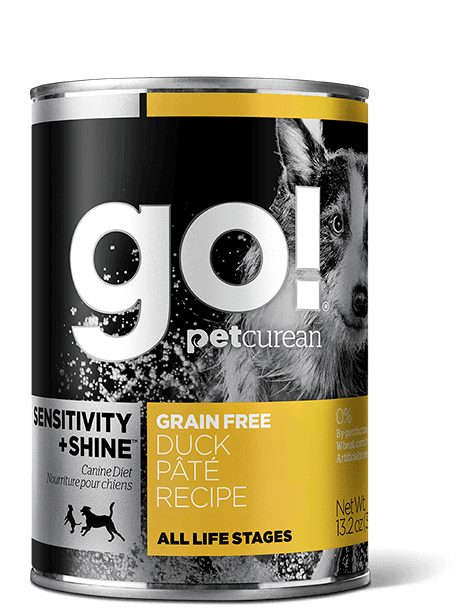 SENSITIVITY + SHINE™ recipes are great for all dogs, but were formulated especially for those with food sensitivities and specific dietary needs. Turkey, whitefish, salmon broth, potatoes, freshwater trout, carrots, spinach, peas, flaxseed, herring meal, bananas, broccoli, sweet potatoes, red peppers, apples, cranberries, blueberries, alfalfa sprouts, pumpkin, dicalcium phosphate, salt, potassium chloride, minerals (zinc amino acid chelate, iron amino acid chelate, selenium yeast, copper amino acid chelate, manganese amino acid chelate, cobalt amino acid chelate, potassium iodide), inulin, xanthan gum, cassia gum, choline chloride, vitamins (thiamine mononitrate, vitamin E supplement, niacin supplement, d-calcium pantothenate, vitamin A supplement, riboflavin supplement, biotin, vitamin B12 supplement, pyridoxine hydrochloride, vitamin D3 supplement, folic acid), rosemary, yucca schidigera extract, beta carotene. Adult: Feed 1 to 1 1/4 cans per 15lbs of body weight per day. The amount of food your dog requires will depend on activity, age, breed of dog, and climate. Feed at room temperature and refrigerate unused portion. Provide fresh, clean water at all times. Love, attention and tummy rubs should be given freely, as often as possible. GO! 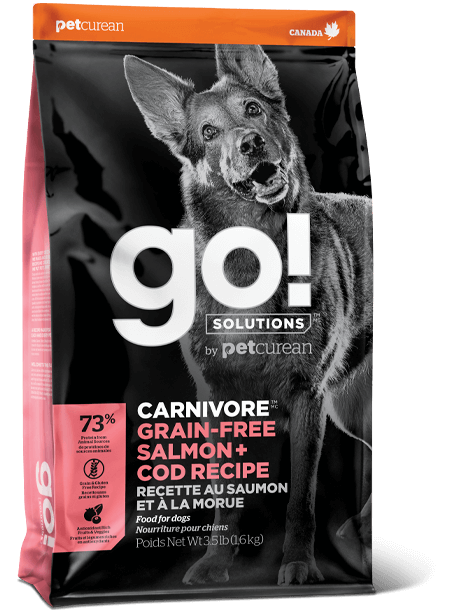 SENSITIVITY + SHINE Whitefish + Freshwater Trout Pâté dog food is formulated to meet the nutritional levels established by the AAFCO Dog Food Nutrient Profiles for All Life Stages except growth of large size dogs (70lbs or more as an adult).